WASHINGTON, Wednesday, March 2, 2011 – The internet and intellectual property policy news and events service BroadbandBreakfast.com will hold its March 2011 Intellectual Property Breakfast Club event, “Patent Reform in the 112th Congress” on Tuesday, March 8th, 2011. Tickets to the event are $45.00 plus a small online fee. Registration is available at http://ipbreakfast.eventbrite.com. Paul R. Michel, Chief Circuit Judge (retired), US Court of Appeals for the Federal Circuit. 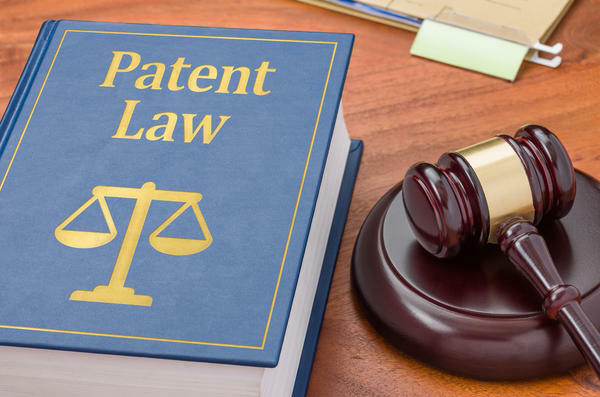 As a judge on the US Court of Appeals for the Federal Circuit for 22 years, Paul Michel helped shape the landscape of patent law in the US and handed down some of the court's most important judgments. In 2010 he received the U.S. Patent and Trademark Offices’ Federico Award for “outstanding contribution to the Patent and Trademark Systems of the United States of America” and was one of five global figures inducted into Intellectual Asset Management magazine’s "Intellectual Property Hall of Fame". Bernard Knight, Senior General Counsel, United States Patent Office. Mr. Knight returned to the USPTO in 2010 after serving as the agency’s first Deputy General Counsel for General Law from 2001 to 2006. As Senior General Counsel, Mr. Knight is the principal legal advisor to the Under Secretary and Director. He supervises the provision of legal advice and court representation on all intellectual property and administrative matters for the USPTO. Mr. Knight also coordinates with the Department of Justice, Department of Commerce and other agencies in developing the U.S. position on major intellectual property cases before the Supreme Court and Courts of Appeals. Brian Pomper, Partner, Akin Gump. Previous to his work at Akin Gump, Mr. Pomper was the Chief International Trade Counsel on the Democratic staff of the Senate Finance Committee, under Chairman Max Baucus, D-Mont. In that capacity, he was responsible for advising Chairman Baucus and the other members of the Committee on all aspects of the Committee’s international trade and economic agenda, including oversight of ongoing trade negotiations, market access issues, international trade disputes, intellectual property and international tax and customs issues. Hans Sauer, Deputy General Counsel, the Biotechnology Industry Organization (BIO). Dr. Sauer has 15 years of professional in-house experience in the biotechnology industry, where he worked on several research and drug development programs, being responsible for patent prosecution and portfolio oversight, clinical trial health information privacy, and sales and marketing legal compliance. He has a Ph.D. in Neuroscience from the University of Lund, Sweden, and a J.D. from Georgetown University Law Center in Washington, D.C., where he serves as adjunct professor. Additional panelists have been invited. The event will be moderated by Sarah Lai Stirland, BroadbandBreakfast.com Contributing Editor. Lai Stirland has covered business, finance and legal affairs, telecommunications and tech policy for 15 years from New York, Washington and San Francisco. She has written for Red Herring, National Journal’s Technology Daily, Portfolio.com and Wired.com. She’s a native of London and Hong Kong, and is currently based in San Francisco.